1.Preheat oven to 350°. In large skillet, cook ground sirloin over medium-high heat 8 minutes or until browned, stirring frequently. With slotted spoon, transfer ground sirloin to paper towel-lined plate to drain; discard drippings. 1.Preheat oven to 350°. In large skillet, cook bacon over medium-high heat 7 minutes or until partially cooked, stirring frequently. With slotted spoon, transfer bacon to paper towel-lined plate to drain. 1.Preheat oven to 350°. In large skillet, cook bacon over medium-high heat 7 minutes or until partially cooked, stirring frequently. With slotted spoon, transfer bacon to paper towel-lined plate to drain; discard all but 1 teaspoon bacon drippings. > July is National Baked Beans Month, making it the perfect time to enjoy one of America’s favorite sides. Americans will consume more than 50 million pounds of baked beans in the month of July alone. Beans are a great lean source of protein and have more fiber than many whole grain foods. 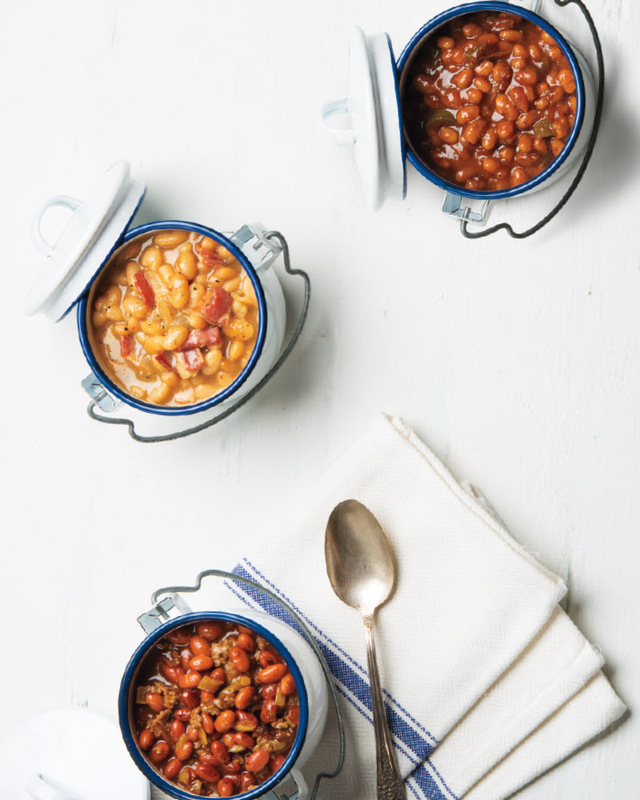 And BONUS – beans can be counted as either a vegetable or protein serving. Aim to have at least one meatless meal each week, focusing your protein source around beans or other plant-based proteins.